A releasable pressure sensitive adhesive for approved luxury vinyl plank. Use with Raskin's Elevations, Loft and Formations. 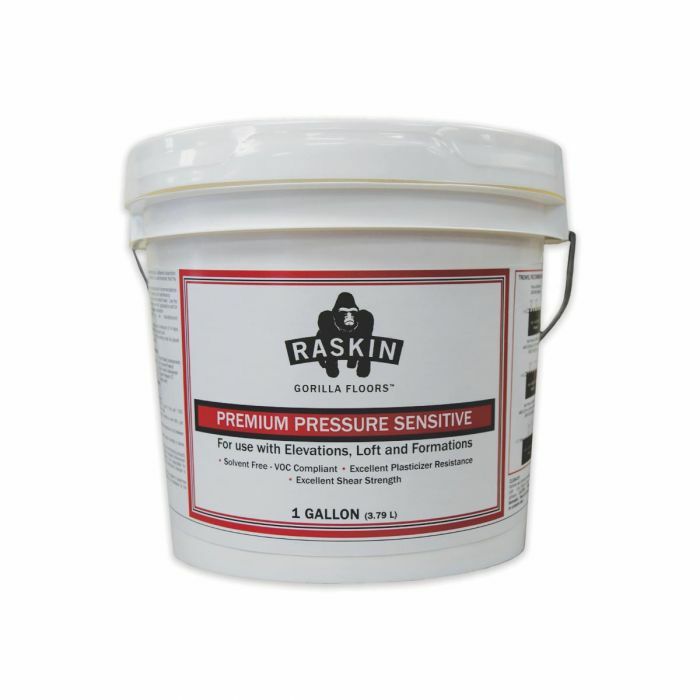 Raskin's R98 Premium Pressure Sensitive Adhesive is a solvent free releasable bond adhesive for installing approved luxury vinyl tile/plank, VCT and vinyl backed resilient sheet flooring. This high strength adhesive is designed for installation over porous and non-porous substrates.